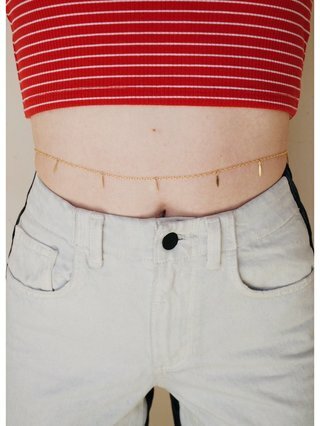 14kt gold filled belly chain with marquise charms. 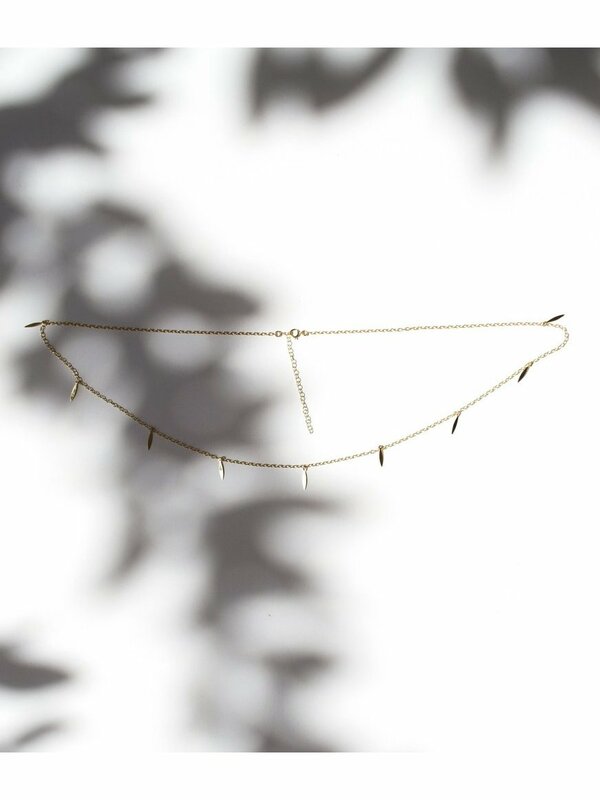 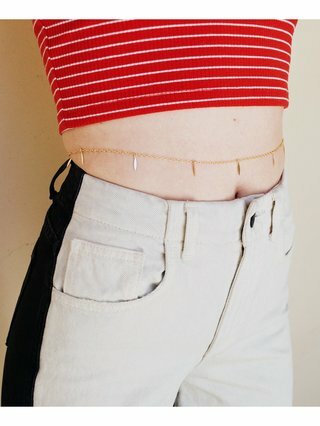 This belly chain can be double wrapped around you neck as a choker or necklace. 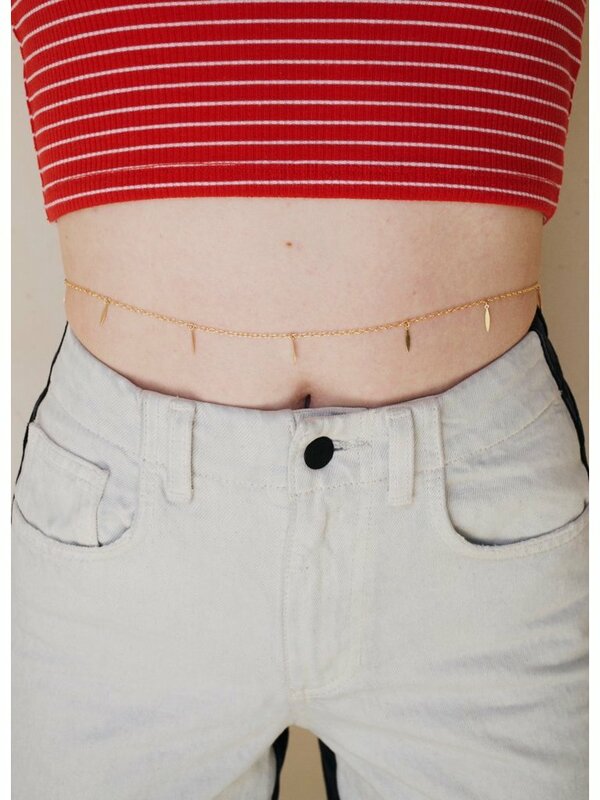 There are size options for this belly chain.